Last week, Spotify confirmed it had reported Apple to the European Commission over what it claimed were anti-competitive practices in charging rivals a 30% tax on purchases made through Apple’s payment system on its app store. It said this included taking a cut when Spotify users who chose to upgrade from the free version of the service to the pay monthly premium version and this led to the firm gaining an unfair advantage because it has its own streaming service – Apple Music. Apple responded, accusing Spotify of seeking to keep the benefits of being on its app store without “making any contributions to that marketplace”, arguing the majority of Spotify users on Apple’s iOS platform used the free version of the app and did not, therefore, contribute to this revenue stream. The iPhone maker said Spotify had wrapped “financial motivations in misleading rhetoric”. Now Spotify has hit back again, claiming Apple’s approach hurts competition and consumers. 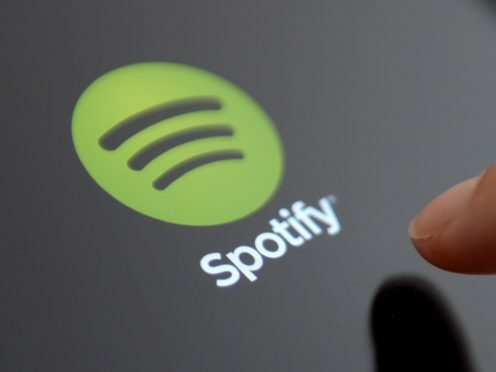 “Every monopolist will suggest they have done nothing wrong and will argue that they have the best interests of competitors and consumers at heart,” a Spotify spokesman said. “In that way, Apple’s response to our complaint before the European Commission is not new and is entirely in line with our expectations. “We filed our complaint because Apple’s actions hurt competition and consumers, and are in clear violation of the law. “This is evident in Apple’s belief that Spotify’s users on iOS are Apple customers and not Spotify customers, which goes to the very heart of the issue with Apple. “If we pay this tax, it would force us to artificially inflate the price of our Premium membership well above the price of Apple Music,” he said. Apple noted in its own response the tax in question does not apply if people subscribe through a non-Apple device, such as on a desktop, and then use the service afterwards on an Apple device. The firm also said it drops from 30% to 15% after the first year and denied Spotify claims it had blocked app updates and access to products such as Siri voice assistant integration and Apple Watch connectivity. Mr Ek said: “this is not a Spotify-versus-Apple issue” and the firm just wanted to promote healthy competition. “We want the same fair rules for companies young and old, large and small,” he said. “It is about supporting and nurturing the healthy ecosystem that made our two companies successful in the first place.